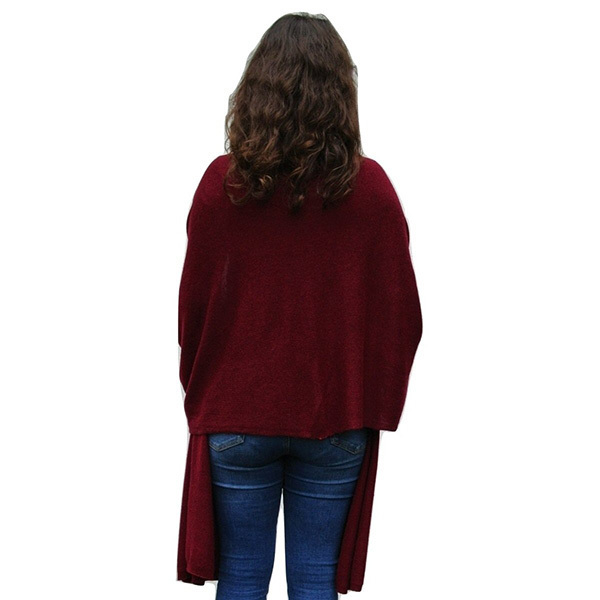 Grab the newest burgundy purely hand crafted shawl RIGHT NOW! This deep Burgundy shade works well with black, dark grey but looks equally attractive over white. 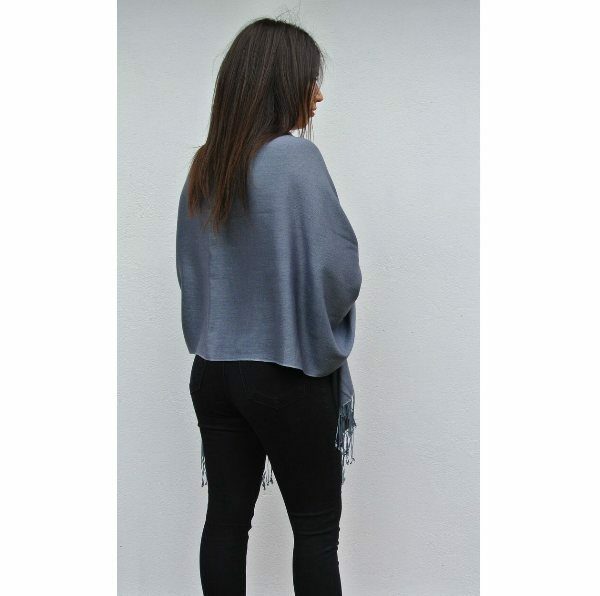 These 100 % thick knitted cashmere shawls are exclusively produced for Karianne’s Secret. They are handcrafted in Nepal. These shawls are significantly heavier than our standard range of cashmere shawls. 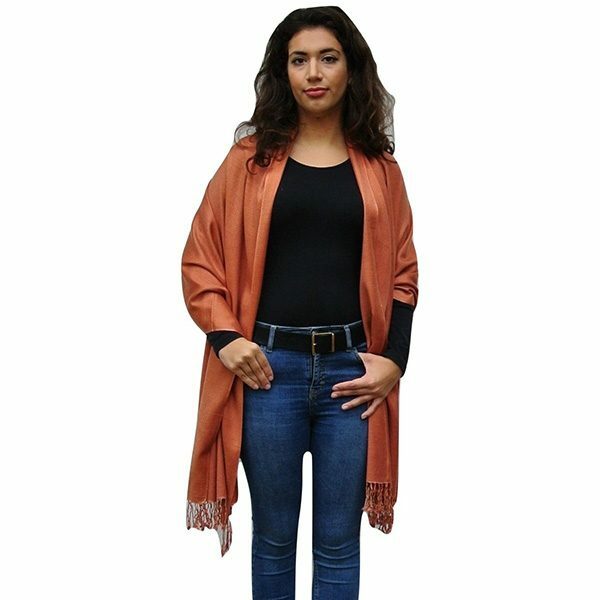 This thick knitted shawl is a must for any discerning lady’s wardrobe a beautiful garment that is always in fashion. 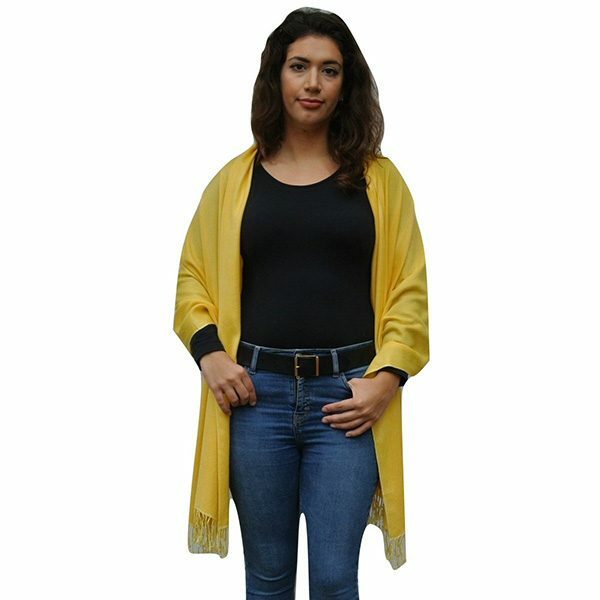 A shawl is the most versatile of all garments, it can be worn simply draped over the arms, loosely draped over the shoulders, tied as a shrug or wrapped closely around the neck. Elegant and comfortable, it is ideal for day or evening wear particularly when the weather is cooler. Keeping warm has never been easier. 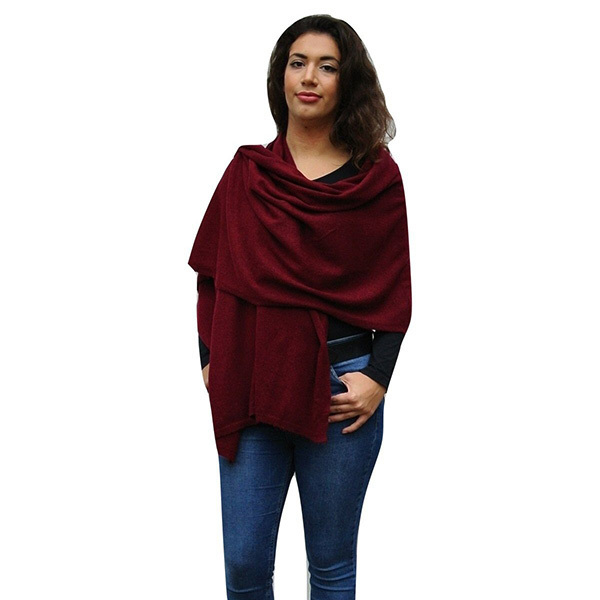 Treat yourself to one of our exclusive thick knitted shawls today and you’ll never regret it. Hand finished by artisans in Nepal. Made from luxurious 2 ply cashmere. 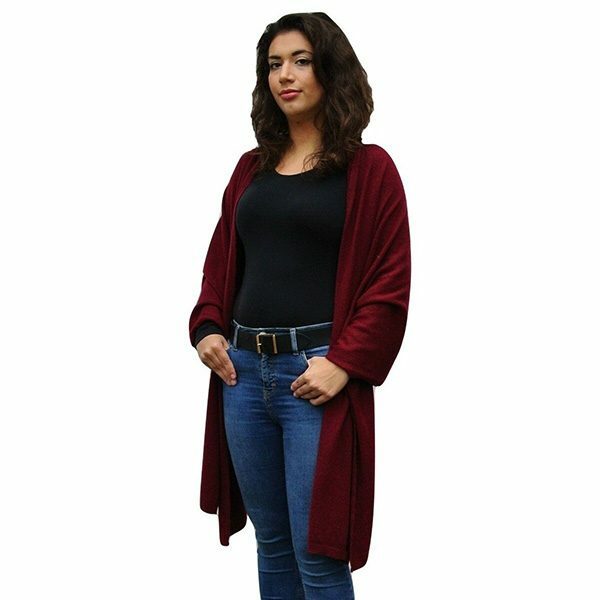 These luxurious 100 % thick knitted cashmere shawls are beautifully soft and are unlikely to irritate your skin, which can be a problem with standard woollen materials. 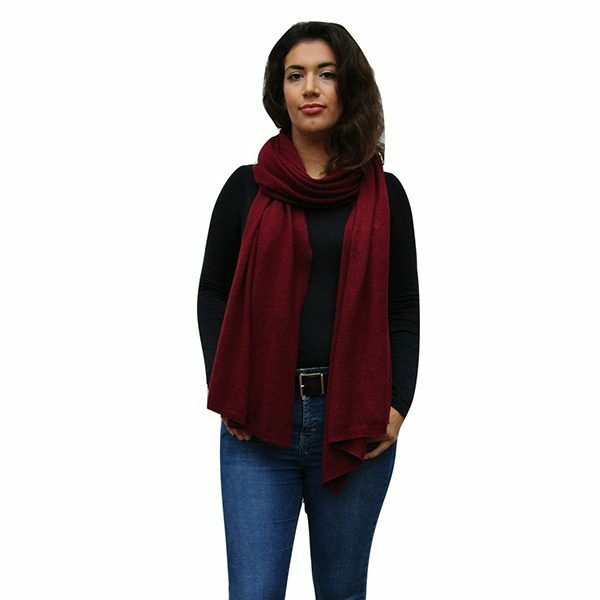 With proper care, this thick knitted cashmere shawl will last for many years. The super warm fabric will keep you warm throughout the year. 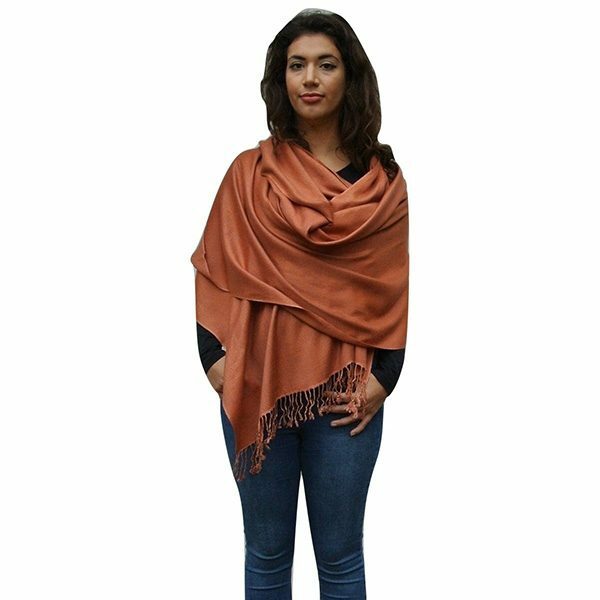 These shawls are crafted from 2 ply 100 % cashmere yarn giving them extra strength, this extra weight offers a more substantial look and theses shawls drape stylishly from the shoulders. If you hand wash hand take great care use a mild detergent in lukewarm water. Machine washing is not recommended but washed on it’s own on the gentlest setting is acceptable. Do not spin dry or wring as the shawl will lose its original shape. To remove the excess water, lay your shawl flat on a towel. Press down gently to let the towel soak up the excess water. Finish drying by laying flat on an even surface, if necessary use a steamer to gently press out any wrinkles. 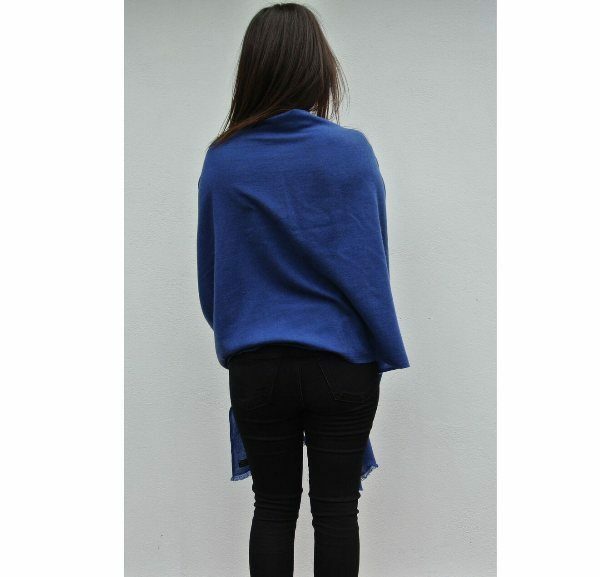 70% Cashmere 30% Silk Ladies Luxury Shawl in Blue Jean Handcrafted in Nepal. 100% Cashmere Shawl With William Morris Honeysuckle Green Print Handcrafted in Nepal. 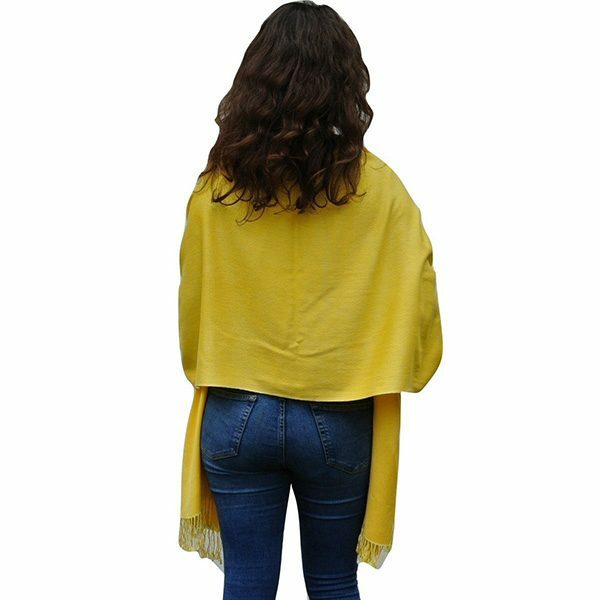 70% Cashmere 30% Silk Ladies Luxury Shawl in Lemon Yellow Handcrafted in Nepal. 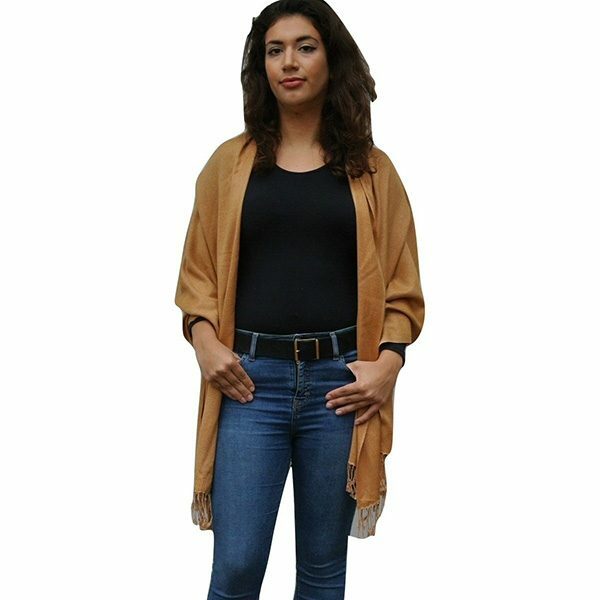 100% Cashmere Ladies Luxury Shawl in Pale Grey Handcrafted in Nepal. 70% Cashmere 30% Silk Ladies Luxury Shawl in Pewter Handcrafted in Nepal. 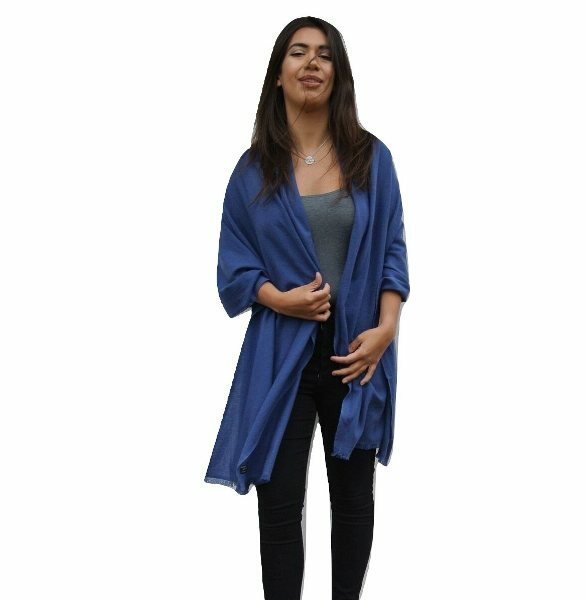 100% Cashmere Ladies Luxury Shawl in Sea Blue Handcrafted in Nepal.